A chapter on the difference between study and homework. A chapter on setting specific study goals. 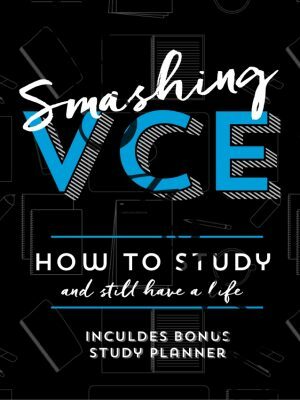 A chapter on study strategies that can be used in most subjects – including a comprehensive list of short, medium and long answer instruction words students need to know for the exams in each of their subjects and key vocabulary they can use to complete these instructions effectively. A very simple, and effective infographic on how ATARs are calculated. A weekly study planner that students can fill in for Terms 1, 2, 3 and 4. The planner prompts students to list homework and plan study goals and identify the time slots in their week they can complete homework and engage in study.